There is definitely life after babies! First published in 1999 (released in 2001), 10 years ago! 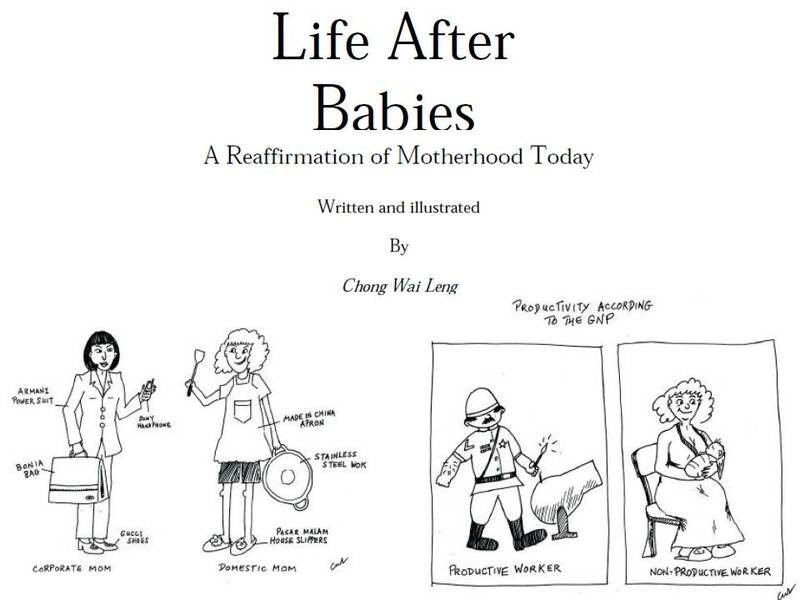 Wai Leng shared her experience in her evolving role as a mother. If you have missed this earlier, this was Wai Leng’s first book (both written and illustrated by Wai Leng) – available FREE and ONLINE only. Read on if you want a copy! This entry was posted in BOOKSHELF, Personal, Publications, Resource & Materials and tagged babies, education, motherhood, mothers, parenting. Bookmark the permalink.